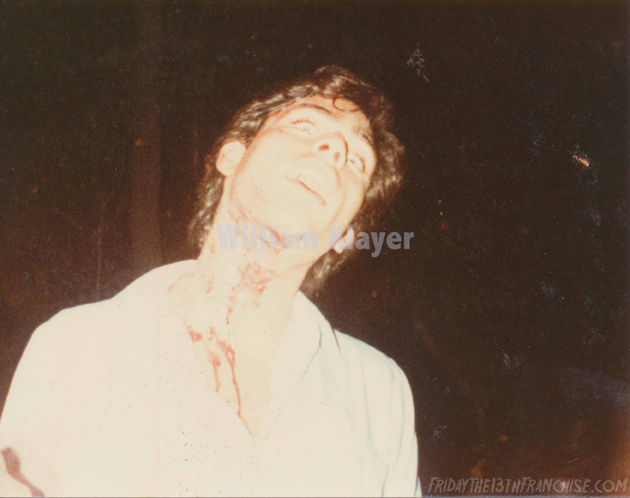 We are very excited to be able to bring you a number of new and never before seen images in the coming weeks from Friday The 13th Part 2, courtesy of William Klayer, who worked as an electrician on the film. William is a Cinematographer in New York City now with a long list of credits who coincidentally is looking to direct a Horror film in the near future! Our first couple of photos to show the fans have to do with the scene of Scott's demise in Part 2. 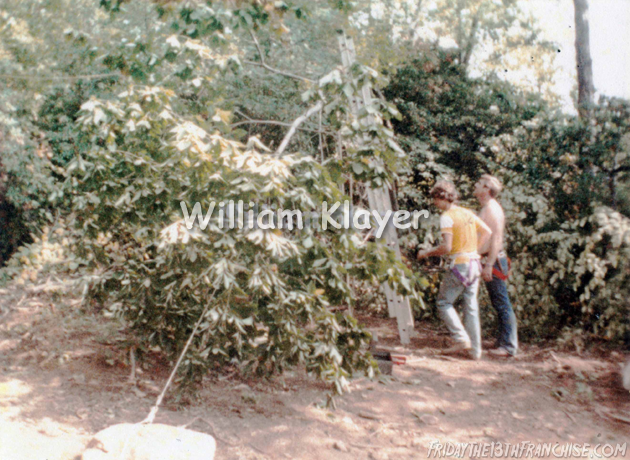 Below, the first photo shows Stunt Coordinator Cliff Cundey (pictured right, who also played the tow truck driver in the beginning of the film that tows Jeff's truck as a prank) rigging the tree that will eventually be tripped when the character Scott (Russell Todd) is running from Terry. The second photo shows Russell Todd after filming his death scene hanging upside down in the tree trap.